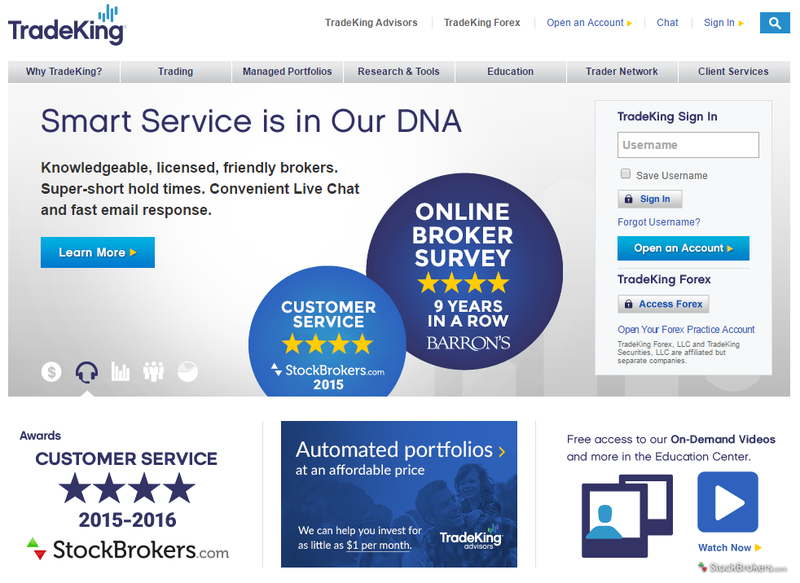 Discount broker TradeKing is a relatively new entrant to the industry but it has quickly gained attention due to its $4.95 trading fees, the quality of its customer service and its extensive range of trading tools and educational resources. 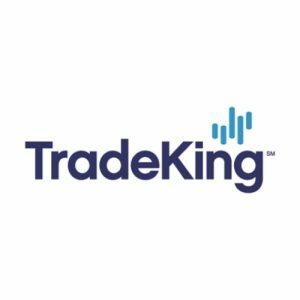 This review aims to help you decide if its time for you to make the switch over to TradeKing. Below you will find out why so many people are choosing to open TradeKing accounts, as well as some of the limitations of this discount broker. What attracts most traders to TradeKing is the very low brokerage fees. At $4.95 a trade plus 65 cents per option contract, TradeKing has among the lowest brokerage fees in the industry. These fees are the same whether you are trading online or over the phone. TradeKing also offers up to $150 in reimbursements to anyone who transfers a non-retirement account over to them. Provided that you have over $2,500 in your account or you made at least one trade over the last twelve months you will not be hit with any inactivity fees. If you do not meet these criteria you will be charged a $50 annual fee, but for most traders this will not be an issue. In addition TradeKing doesn’t charge an annual IRA fee. Along with their low fees, the other feature that sets TradeKing apart from competing discount brokers is its active community. Called the TraderNetwork this part of the site features groups, blogs and forums. Trading from home can be an isolating activity and so the community experience offered by TradeKing is nice touch. Being able to ask questions from other active traders is also very useful. Between 2008 – 2012 TradeKing has consistently been awarded five stars for its customer service, demonstrating how committed it is to looking after its customers. TradeKing offers both livechat and email for any queries that you have. Another nice feature of their customer service is that when you call TradeKing you go straight through to an actual human customer service representative, rather than having to navigate a phone menu. 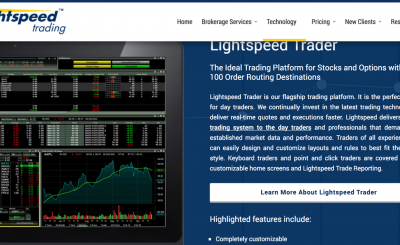 For a discount broker the suite of trading tools that are on offer is impressive. One of the best of these tools is the Market Grader software. 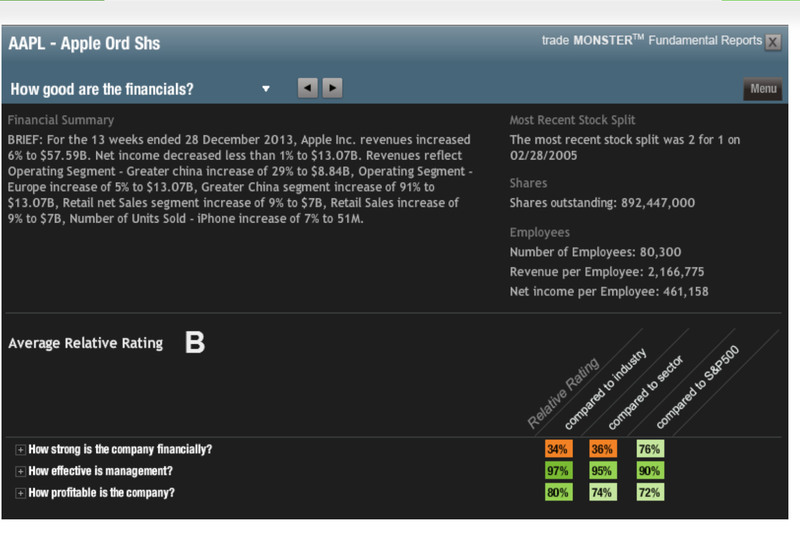 Market Grader performs quantative analysis on over 5,500 listed companies. When you find a stock that you are interested in you can download a free report which grades the company in key areas such as profitability, growth and cash flow. TradeKing also offers free technical analysis tools as well as educational resources on how to use and interpret them. 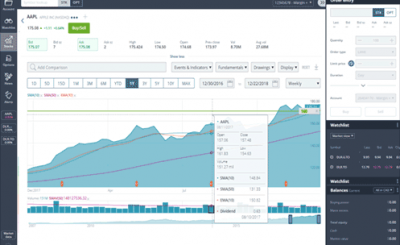 In addition you can access interactive charts which allow you to add technical indicators, analyze implied and historical volatility and see the underlying trading volume for options. 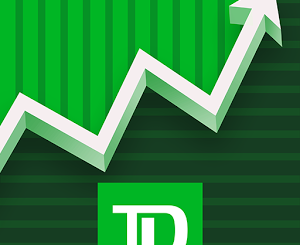 Cons Individual stock reports could be better One area where TradeKing could be improved is in the quality of their individual stock reports. This is not surprising considering that it is a discount broker and this information is available elsewhere. But if you are expecting a lot of indepth research on specific stocks then TradeKing might not be the best option for you. 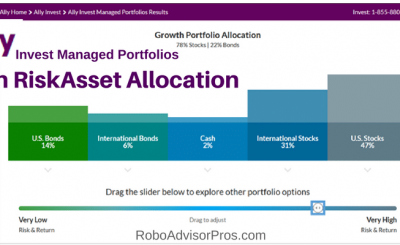 Mutual funds are slightly more expensive At $14.95 per trade for a no load mutual fund TradeKing is slighly more expensive than going to direct through either Vanguard or Fidelity. However TradeKing is still less expensive for mutual funds than some of its other discount broker competitors such as E*Trade. Conclusion If you are looking for a discount broker then it is hard to beat TradeKing. Very low brokerage fees, great educational resources, an active community and no hidden costs, make TradeKing difficult to beat. Highly recommended for both trading and retirement accounts.